Why leave your blueberry shrub alone in your garden? 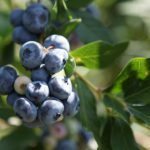 The best blueberry cover crops and appropriate companions for blueberries will help your shrubs stay thrive. You’ll need to pick blueberry plant companions that share a blueberry’s love for acidic soil. Read on for more information about what to plant with blueberries. Blueberry shrubs grow happily in small groups and also work well in a hedge row. These berry plants get about three feet high and almost as wide. They tolerate cool weather, which means that gardeners in many regions around the country get bumper crops. Blueberry plant companions can help the shrubs to grow. If you want to make life as easy as possible for your berries, you may not want to leave them in solitary rows. Planting blueberry cover crops before you plant the blueberries improves the shrubs’ vigor and increases the yield of your blueberry patch. Some of the best companions for blueberries are cover crops. Many of these work best if you grow them and plow them under well before the blueberries are planted. These types of blueberry cover crops also improve the structure of the soil by adding organic matter. Good blueberry cover crops for pre-planting include grasses and grains. Since these companions for blueberries have low nitrogen content, plow them under the fall before spring blueberry planting. If you grow legumes as your blueberry cover crop, you can plow them in a month up to 30 days before planting the berries. Ripe, homegrown blueberries are so sweet it is hard to remember that they only thrive in acidic soil. But it’s true that they do best in a soil with a pH of about 4.5. Any blueberry bush companions you decide to plant will also need to thrive in acidic soil too. So what to plant with blueberries? The best buddy for a blueberry plant is a rhododendron, since these plants also thrive in sunshine and acidic soil. Rhodies are generous with their beautiful blossoms, adding ornamental value to your garden. 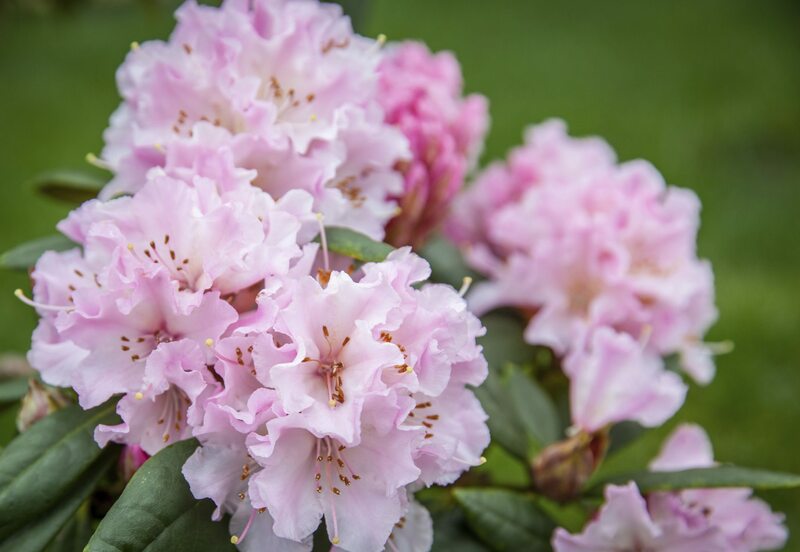 The foliage of the rhododendrons offers valuable shade to the sensitive blueberry roots during summer heat. This means that they are great blueberry bush companions. Herbs also make good blueberry plant companions. Basil, for example, enjoys moderately acidic soil and only gets to about 2 feet tall, so it won’t cast your blueberries into shade. Its leaves are useful in the kitchen. Thyme is another herb that works well and looks pretty around blueberry bushes. It tolerates moderately acidic soil and offers clusters of small purple flowers in early summer. Other acidic-soil plants include yew, pine trees and grape hyacinth. Additionally, plants having adaptable tolerance to various soil and pH types, like catchfly, work well with blueberry plants too.